After being “accidentally” flushed down the toilet, a baby Chinese boy seems to be recovering. The Web has been abuzz in recent days with the harrowing story of a baby being rescued from a sewer pipe in China’s Zhejiang province. It began when residents of an apartment building in the eastern Chinese city of Jinhua (Zhejiang province) heard sounds of an infant crying. After looking for the source of the sound they were shocked to discover a newborn’s foot through the opening of a toilet pipe in a public restroom. After alerting emergency crews, firefighters spent two hours at the scene doing their best to free the child by cutting the four-inch-diameter pipe. When this proved fruitless, they cut an entire section of pipe and took it to a local hospital where doctors and other rescuers pried the pipe open with pliers, eventually revealing the 2.8-kilogram (6 pounds, 2.8 ounces) baby boy – referred to as “Baby 59” in reference to his hospital incubator number – lodged within, placenta still intact. The desperate operation can be watched here. Although the infant was bruised and had a low heart rate, he otherwise came through the ordeal without significant injuries. Amazingly, he is now reported to be in a stable condition. According to a report in The Guardian, the 22-year-old mother, who remains anonymous, hid the pregnancy after the baby’s father deserted her and because she could not afford an abortion. It was also later revealed that she was the one who alerted the authorities, and was even present during the ordeal. She claimed the baby “accidentally” fell into the pipe when she unexpectedly gave birth. She told police that she tried to rescue her son with a stick, but could not manage to get him back, claiming that she then flushed the toilet to wash away the blood. She did not confess that the baby was hers until police found blood-stained tissues and toys in her apartment and asked her to undergo a medical check. Yesterday, officials confirmed that the incident was indeed an accident and that charges will not be pressed against the mother. While mainstream Chinese media has not made much mention of the traumatic situation, citizens swiftly expressed their dismay and desire to help support the child’s recovery. Donations of diapers, baby clothes and powdered milk, as well as offers of adoption have flooded the hospital. Further, the harsh tone initially taken by netizens – who claimed the baby was dumped – has softened as details have been revealed. 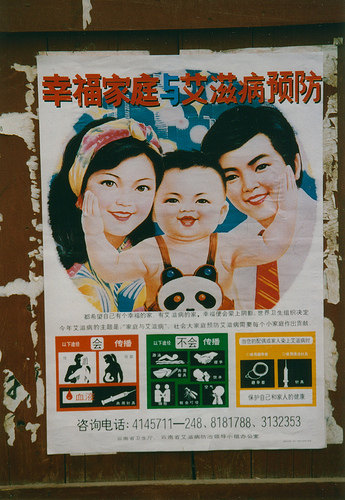 As the Wall Street Journal points out, reports of abandoned babies are common in China and often spark public anger against the one-child policy, which penalizes parents who break the rules with hefty fines. Although many abandoned babies are female, due to a cultural preference for males, the motive is often financial. The search for someone able to raise the baby is underway. A closer look at the current status and future prospects of one of Taiwan’s flagship foreign policy initiatives. Indonesia’s Election Is Over But Identity Politics Will LingerWhy the US Needs to Revisit Its Negotiating Approach to North Korea—And SoonThe US Is Pushing Back Against China. What Happens If We Succeed?On Looming US-China Trade Deal, Actions Speak Louder Than WordsTrue GRIT with North Korea?